How to show all of drm like the screen shot, I used mbuhgaeruh MP. This really works,except indicator alarm icon,it wont show in status line. I think something wrong with the patch. Zdunex,what tool r u used to make this patch? Can u share or explain to us how? n how to resolve that? 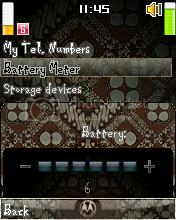 oops problem resolved, i used increase battery indicator patch . . .